At first glance, the difference between DOs and MDs is difficult to distinguish. They’re both fully licensed physicians, trained in diagnosing and treating illnesses and disorders and providing preventive care. But the foundation of osteopathic medicine is that people are more than just the sum of their body parts. At KCU, you’ll focus on the interconnectivity of all body systems and how each one affects the others. In training, you’ll pay special attention on the musculoskeletal system, a structure of muscles and bones, which impacts the condition of all other body systems. You’ll learn to use your hands to diagnose, treat and prevent illness and injury. 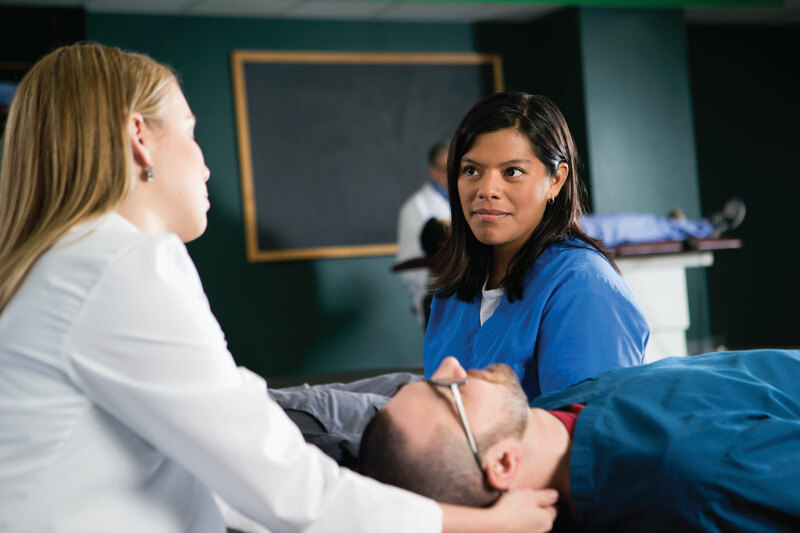 Through osteopathic manipulative treatment, you’ll move patients’ muscles and joints using a variety of techniques, including stretching, gentle pressure and resistance. Dr. Andrew Taylor Still founded osteopathic medicine in 1874 after becoming disillusioned with contemporary medical remedies. His new medical philosophy emphasized the revolutionary concepts of holism, prevention and manipulation.